Bentley celebrated the official opening of its latest retailer in the heart of Europe, Bentley Budapest. This is the first Bentley showroom in Hungary, and also one of the first to unveil the all-new Continental GT Convertible. Bentley Budapest is located at 63, Szerémi út in the XI District of Budapest. 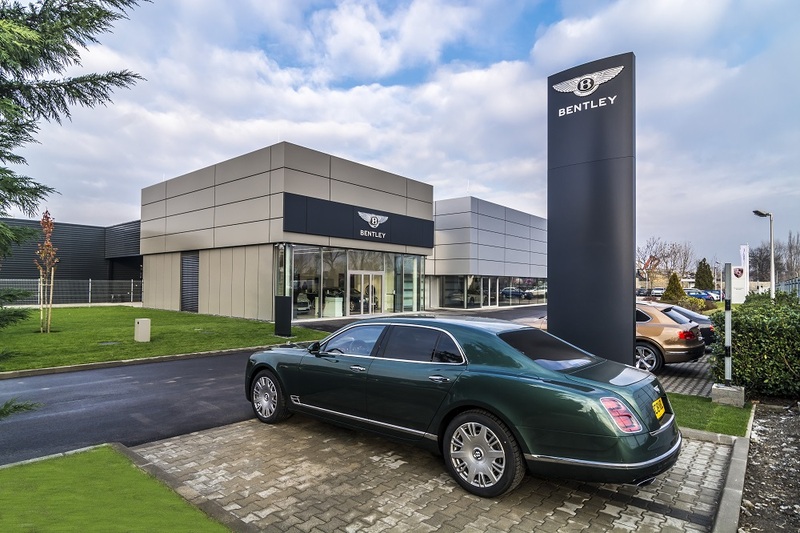 The new facility - which was developed in collaboration with Porsche Inter Auto Hungaria - offers the full Bentley model range, aftersales services and the luxurious Bentley Collection handcrafted accessories. The new showroom reflects Bentley’s global corporate identity, taking inspiration from the company’s rich history and combining it with modern-day luxury retailing. It also features a private personalisation area where customers can choose from the brand’s broad palette of exterior paints and leather options. Being the exclusive Bentley retailer in Hungary, Bentley Budapest offers customers the full model range, consisting of the Flying Spur, Mulsanne, Bentayga and the all-new Continental GT.